Don't worry, thankfully you aren't required to properly pronounce the name of the Tsuglagkhang Complex to get inside! Located in McLeod Ganj, just above the town of Dharamsala, India, the Tsuglagkhang Complex is the official home of the 14th Dalai Lama. The complex houses the Photang (Dalai Lama's residence), Tibet Museum, Tsuglagkhang Temple, and Namgyal Gompa. Tsuglagkhang is the premier attraction for visitors to McLeod Ganj as well as a pilgrimage site for Tibetan exiles. Pilgrims come to do a circuit around the complex, spinning the prayer wheels as they walk. The Tsuglagkhang Complex is located in the southwest corner of Mcleod Ganj. Walk south all the way to the end of Temple Road. The complex is located at the bottom of the hill with a large iron gate and signs that read "Entrance to Temple." You must pass through a quick security screening and bag check to enter parts of the complex; cameras and phones are permitted only when teachings are not in progress. Cigarettes and lighters will be kept at security until you exit. Although you can take photos of the monk's debate and the rest of the complex, photography is never allowed inside of the temple itself. Remember, the complex is a functioning temple and residence, not just a tourist attraction! Show respect by keeping your voice low and don't interfere with real worshipers. The Tsuglagkhang Complex is open to visitors from 5 a.m. to 8 p.m. If you decide to give them a try, prayer wheels should always be turned in a clockwise direction as you walk around the temple in a clockwise direction. Don't stop prayer wheels that are already turning! Remove your shoes before entering the temple area. Photography is not allowed inside of the temple. The small Tibet Museum just inside the Tsuglagkhang Complex should be the first stop during your visit to McLeod Ganj. The bottom floor contains moving photos and a video about the Chinese invasion and the Tibet struggle. You'll leave with a better understanding of the people you see around town as well as a serious burden for the crisis in Tibet. The museum screens excellent documentaries each day at 3 p.m. Be sure to grab a free copy of Contact -- a local publication with events, opportunities, and news from the Tibetan community. Entrance: Rs 5. Closed on Mondays. Check at the Namgyal Gompa inside of the Tsuglagkhang Complex on any given afternoon and you may be lucky enough to catch the monks debating. Quite the spectacle, monks break into small groups; one stands and passionately 'preaches' a point while the others sit and roll their eyes or laugh to challenge the debater. The one doing the arguing finishes each point with a loud hand clap and stomp of the feet; the entire courtyard appears to be in chaos. Although some of the debates appear angry and passionate, they are done so in good humor. A kora is the Tibetan Buddhist ritual of walking around a sacred site in a clockwise direction. The pleasant walking trail around Tsuglagkhang is peaceful, has excellent views, and a beautiful temple strewn with prayer flags. Plan on about an hour to leisurely take it all in. Pilgrims and worshippers make a clockwise circuit of the entire Tsuglagkhang Complex. Start by taking the road to the left of the iron entrance gate, walk down the hill, then follow the trail around to the right. You'll walk through a wooded area with prayer flags and pass numerous shrines and prayer wheels before looping back up the hill to Temple Road. After being forced into exile by China in 1959, the official home of the 14th Dalai Lama, Tenzin Gyatso, was moved to the Tsuglagkhang Complex. 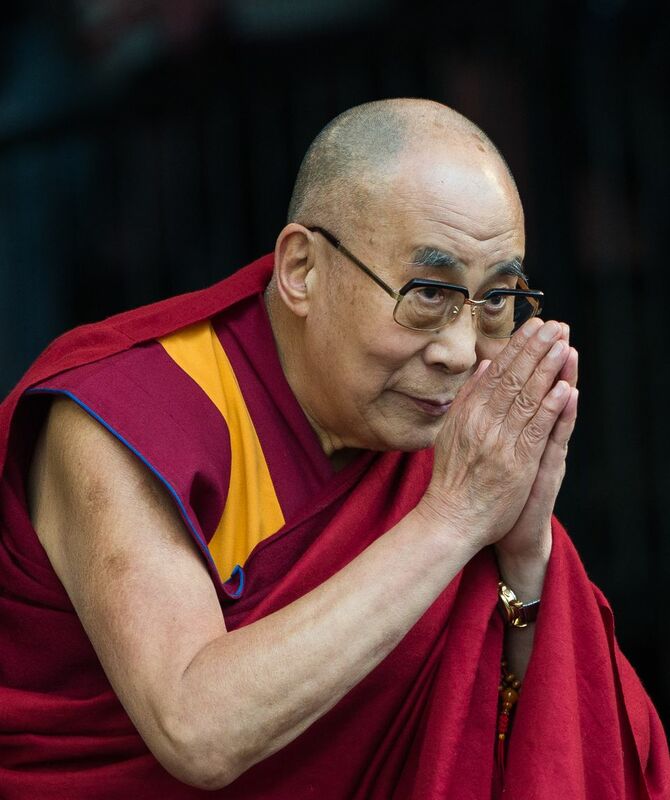 Although private audiences are always granted to Tibetan refugees but almost never to tourists, you could still be lucky enough to catch the Dalai Lama during public teachings when he is back in residence. Public teachings are free and are available to everyone, however, they don't follow any regular schedule. Seating is limited; you will need to register days in advance with two passport-sized photos. Bringing an FM radio with headphones is a good idea to listen to translations as talks are given in Tibetan while the Dalai Lama is home. Bring a cup with you for a chance to try free butter tea -- a staple of Tibetan food. Check http://www.dalailama.com for a schedule of events. Take a close look at the dramatic sign depicting photos of Tibetans, mostly in their 20s or younger, who self-immolated -- set themselves on fire -- to protest the Chinese occupation. The Tsuglagkhang bookshop has an excellent selection of books by the Dalai Lama as well as general texts on Buddhism. A small cafe inside Tsuglagkhang serves cakes and vegetarian food. A small souvenir shop inside the complex sells flags and bracelets; proceeds help support Tibet rather than making someone rich. Read more about responsible travel in Asia. All of Temple Road above Tsuglagkhang is lined with street stalls selling everything from antiques to fake Western-brand clothes. The various cafes with outdoor seating along Temple Road are a great place to sit and watch the monks stroll to and from town.